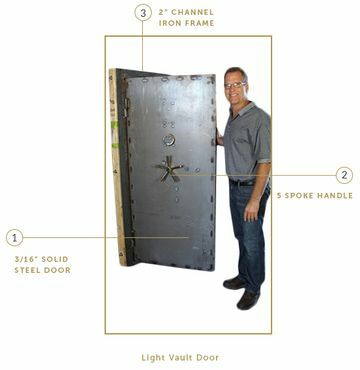 This vault door is mounted on an 8” channel iron frame. 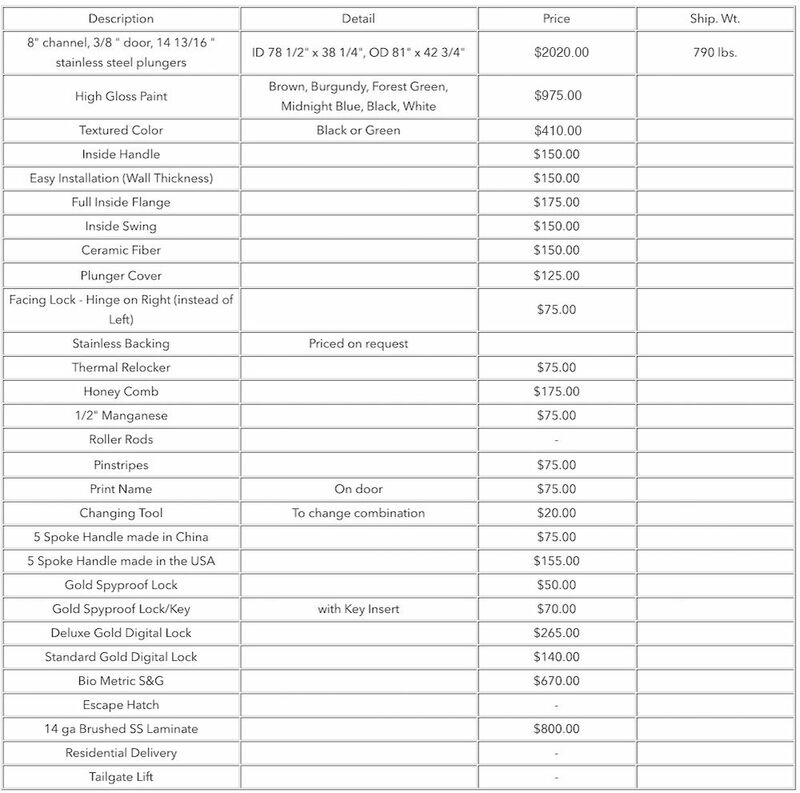 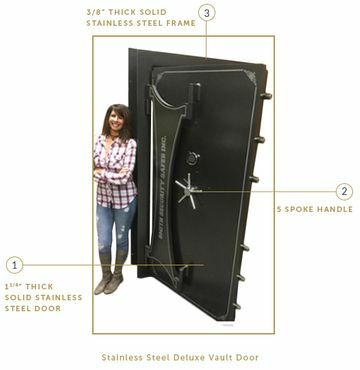 It comes with a 3/8” solid steel door skin, giving it a 2 7/8" overall door thickness. The door weighs in at 790 pounds and comes with 14 locking pins made from 13/16” Stainless Steel round stock. 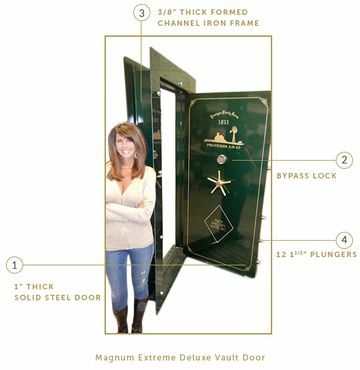 These doors can also be made a little bit bigger and more security-minded with 14 stainless steel plungers. 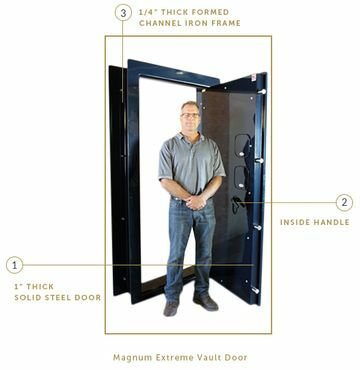 The Heavy Vault Door works very well with 8” block or poured walls. 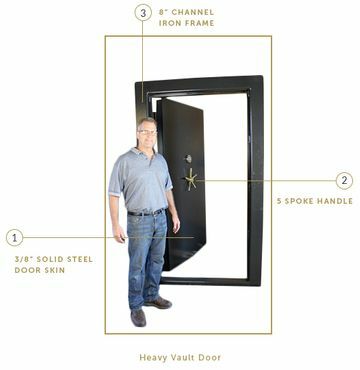 It is the lightest weight door that I would recommend for a concrete room because the door should always be the strongest part of a room. 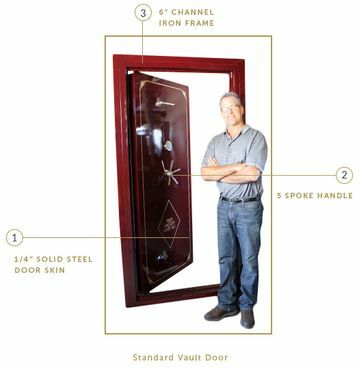 The Heavy Vault Door comes with a 3/8” door skin with an overall thickness of 2 7/16” and a 8” channel iron frame. 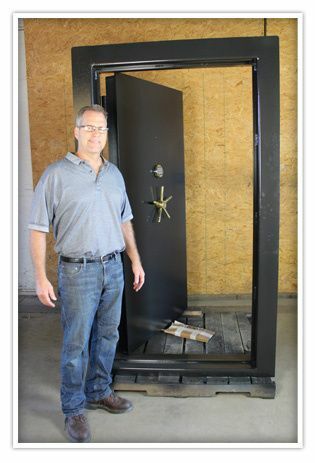 This door will weigh in at 800 lbs and has 14 13/16” stainless steel locking pins. 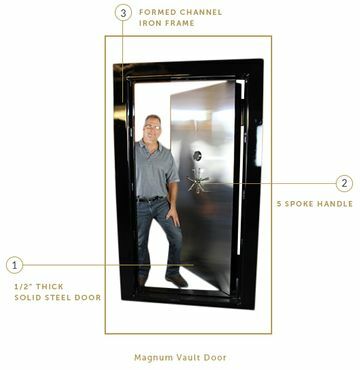 This door can be mounted to any wall thickness and need a rough opening of 82” x 43.75” or just give us your opening size and we can make a door fit. 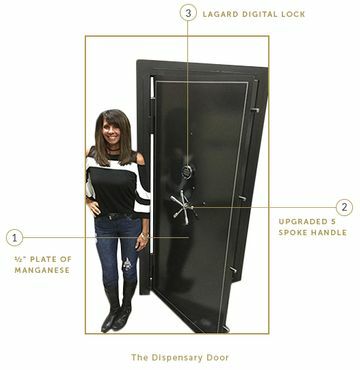 It is best to be mounted directly to the concrete with all wood removed.